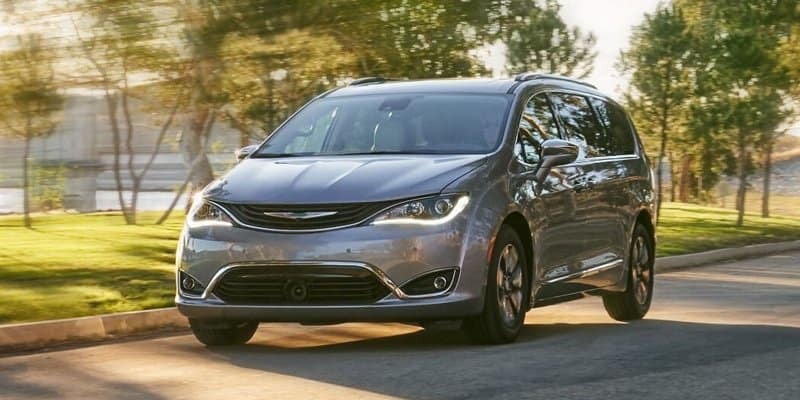 April 3rd, 2019 by Pamela V.
U.S. News & World Report have named Chrysler Pacifica and Chrysler Pacifica Hybrid two of the 6 Best Minivans in 2019 for the money. The Pacifica Hybrid is ranked No.2 in their minivan rankings, and it has the second overall highest score on the list. On top of having family-friendly features that are easy to use, the Pacifica-Hybrid also has one of the best fuel in its class. Chrysler Pacifica: In the Chrysler Pacifica cloth seats come standard, while leather seats, heated second-row seats, eight-way power adjustable front seats and heated and ventilated front seats are available. The Pacifica has room for seven. The seating can be increased to eight if you get the open second-row middle seat. Chrysler Pacifica Hybrid: The Pacifica Hybrid offers Chrysler’s Stow n’ Go seating but the second row does not fold down due to the Hybrid’s batteries. That will take no space away from hauling an entire soccer team around or a run to the plant nursery. The Pacifica has the third cheapest total cost and cost of ownership. The Hybrid seats seven people and only one seating configuration come with it offering two second-row captain’s chairs and three-row seats. Standards are the cloth upholstery and power-adjustable. Available are hands-free power sliding doors, leather seats, a power-adjustable passenger and heated or ventilated front seats. Chrysler Pacifica: Minivans are known for offering a long list of features, but the Pacifica surpasses that assumption. Standard include the Uconnect infotainment system with a 7-inch touch screen, Uconnect Access, Apple CarPlay, and Android Auto smartphone integration, Bluetooth, a USB port, and a six-speaker stereo. One of the many available offerings is satellite radio, KeySense parental controls, a 13-speaker Alpine or 20-speaker Harman Kardon and rear-seat touch screens. Two 10-inch rear-seat touch screens, a built-in vacuum, a rear-seat DVD player, a 4G Wi-Fi hot spot, and upgraded Uconnect system with an 8.4-inch touch screen and navigation. The centerpiece offers something for everyone with the Uconnect infotainment system. The touch screen and practical menu layout help make it one of the best methods in its class. Chrysler Pacifica Hybrid: There are two rear-seat entertainment options: a whole theater package that comes with two 10-inch seatback touch screens or a single back-row DVD screen. Three additional USB ports, HDMI inputs, a Blue-ray and DVD Player and wireless headphones. Every model comes with amenities like tri-zone automatic climate control, satellite radio, the 8.4-inch Uconnect touch-screen infotainment system with Android Auto and Apple CarPlay. The screen features large menus and digital buttons that are easy to tap through. Optional features include a 13-speaker Alpine or a 20-speaker Harman Kardon audio system, panoramic sunroof and navigation. Your inputs register quickly so the processing time won’t be so frustrating. Chrysler Pacifica: As for security it includes a rearview camera, rear cross traffic alert, blind spot monitoring, and rear parking sensors. If driver assistance is what is needed in a package, it does come available. It comes with automatic parking, front parking sensors, surround-view camera, automatic high beams, and adaptive cruise control. Chrysler Pacifica Hybrid: The 2019 Pacifica Hybrid also comes standard with the advanced driver assistance feature. However, to get more in a package, you’ll have to spring for the Limited Trim. It includes automatic high beams, rain-sensing windshield wipers, front parking sensors, and lane departure warning. Chrysler Pacifica: The 2019 Chrysler Pacifica comes in six trim levels: L, LX, Touring Plus, Touring L, Touring L Plus, and Limited. The Pacifica comes with the Pentastar V6 powertrain, and it’s paired with a TorqueFlite nine-speed automatic transmission. The vehicle produces 287 horsepower and 262 lb-ft of torque. The Pacifica features a 3.6-liter V6 engine. It comes with a nine-speed automatic transmission. According to EPA estimates, the 2019 Pacifica gets 18 mpg in the city and 28 mpg on the highway. Chrysler Pacifica Hybrid: The Chrysler Pacifica Hybrid Touring Plus comes standard with the Pentastar 3.6L V-6 260hp hybrid engine, 4-wheel anti-lock brakes (ABS) and, 1-speed automatic transmission. There are also 17” aluminum wheels and driveline traction control. The Pacifica Hybrid is ranked higher on the publication’s list in part to its storage solutions and lower price tag. Front-wheel drive comes standard with the automatic continuously variable transmission. Acceleration is swift from a stop, and the transitions between electric and gas power are barely identifiable. With more speed, the engine tends to be loud. See for yourself if the Chrysler Pacifica or the Chrysler Pacifica Hybrid is the right SUV for you at Hollywood Chrysler Jeep.